The Telefunken Elektroakustik ELA M251E tube microphone system is an exact package and circuit elements design reproduction of the original vintage AKG ELA M251E (E = export, 6072 tube based). This microphone is known for its very smooth top end response like the C12, very detailed mid range, and low frequency response that give the chest resonance of vocalists and the enrichment to a drum kit that can make it sound the size of room in which they are recorded in-- "bigger than life". Offers three patterns selected on the mic body: omni, figure-8 and cardioid. And, it's beautiful to look at! Great albums are recorded with these mics! Vocals, stringed instruments, overheads for drum kits and orchestral recording, room ambiance... anything requiring high detail and faithful reproduction! 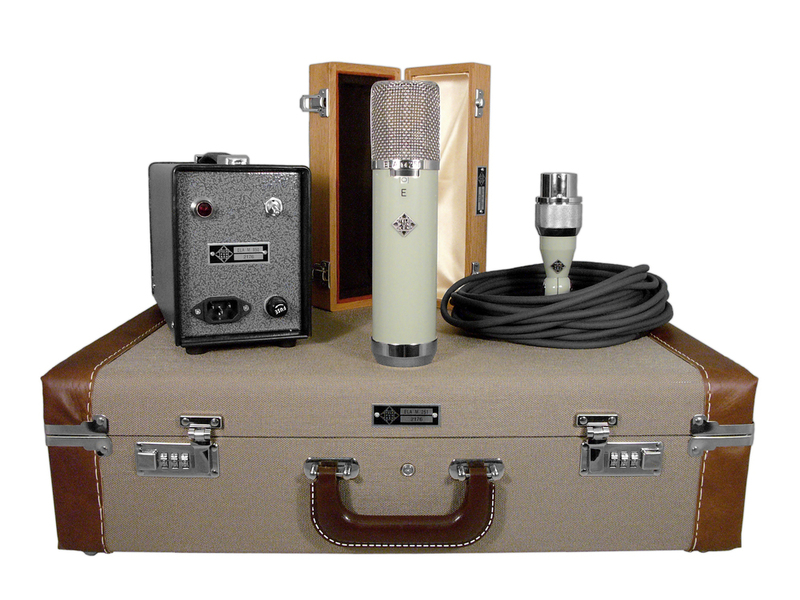 System includes: ELA M251E tube microphone, jewel microphone storage box, psu-mic cable with swivel stand mount, power supply, and vintage tweed system carry case.